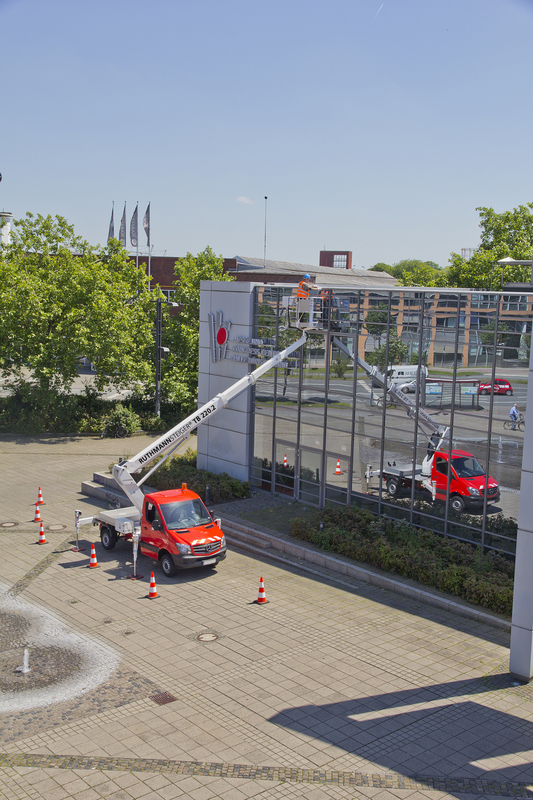 The TB 220 - a real “top seller“ in the RUTHMANNSTEIGER® range – is the optimum and flexible truckmounted access platform for performing tasks with aerial access equipment. 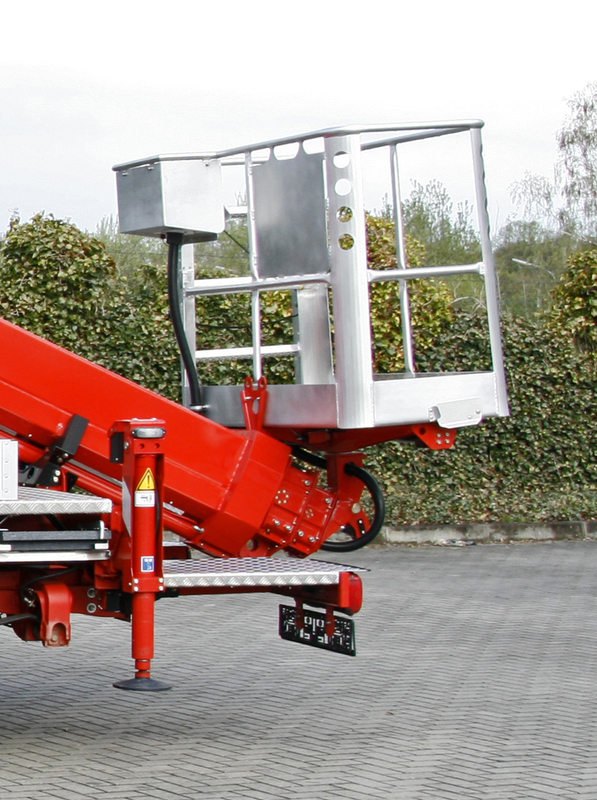 In the current model version, this access platform has several features that are unique, new and innovative for this equipment class and are the fulfilment of previously unfulfilled requirements of our customers. These advantages are reflected particularly in the horizontal-vertical jacking. All in all: 22.1 m working height, 14 m outreach with 100 kg cage load and many other typical RUTHMANN features, combined with the newest carrier chassis with a permissible total weight from 3.500 kg. 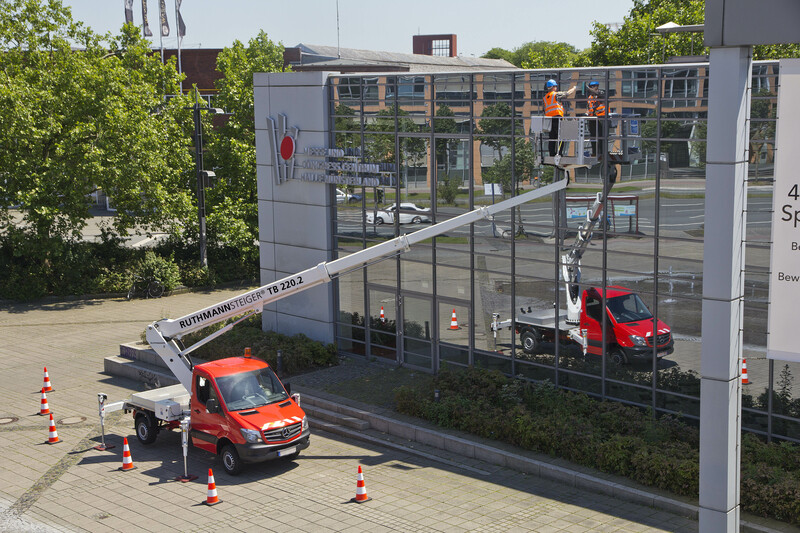 That the RUTHMANNSTEIGER®­ TB 220 is a truck-mounted aerial platform which meets the requirements of many different user groups, such as rental companies, craftsmen (painters, tree surgeons, roofers, building cleaners, communities, energy companies etc. ), is shown by the fact that hundreds of TB-STEIGER® have been tried and tested in daily use. Of course the current TB 220 is equipped with the diverse standard fittings which turned out to be practical in the past. 200 kg working cage load, automatic positioning system, automatic return to basic position, information and diagnosis system, cage rotating device, memory function for easy activation of the working position selected last, narrow clearance width of only 2.0 m, low clearance height of only 3.0 m, short wheelbase of the possible carrier chassis (to enable easy vehicle handling even in inner-city traffic) are just a few of the main features. A totally new and revolutionary feature for this equipment class is horizontal-vertical jacking. It was modelled on the outstanding features which have been available in the larger series for many years. It is operated simply and conveniently from the working cage. Trouble-free performance of work in narrow streets and driveways is possible because jacking of the STEIGER® can be adapted to every work situation. Of course the corresponding performance data are automatically assigned by the control system depending on the jacking position. A further ground-breaking RUTHMANN innovation in this class is the permissible 5° inclination with automatic reach adjustment. 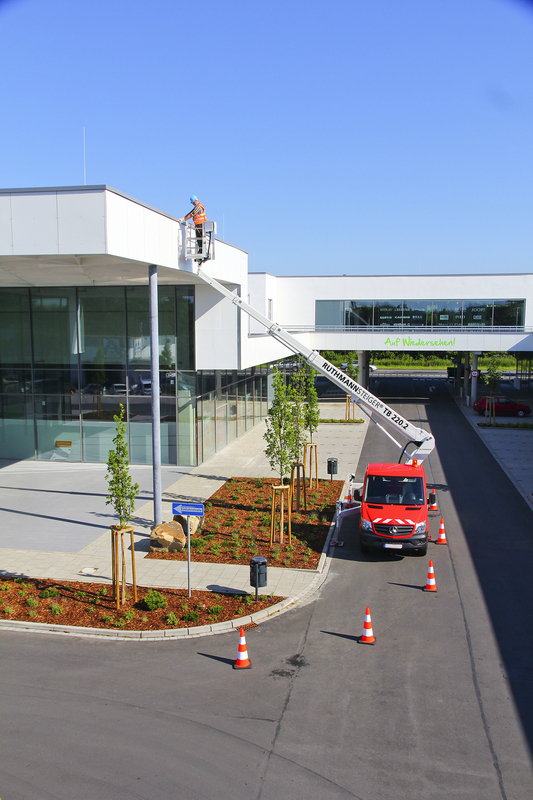 The STEIGER® can be positioned and put into operation easily and effortlessly even on sloped sites. For one-sided jacking or jacking in the vehicle profile, the turret gooseneck was designed in a way that it does not project beyond he mirror width of the vehicle when the boom system is rotated. All STEIGER® movements (such as lifting, lowering, telescoping) and simultaneous rotation of the working cage can be carried out at the same time. The TB 220 features a weight-optimised design which enables its installation on the newest carrier chassis, e.g. from Mercedes-Benz and Volkswagen. Please contact us – by phone, fax or e-mail. We would be pleased to give you detailed information about the performance range of our proven STEIGER® and demonstrate the benefits and advantages of our product for you!